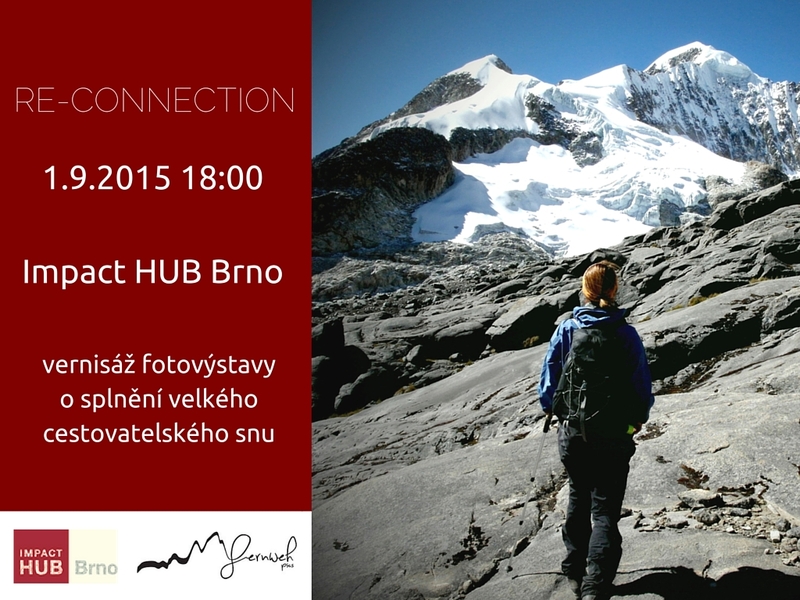 First Fernweh pics photo exhibition Re-connection is still ON until the end of October in Impact Hub Brno – come and enjoy it 🙂 Impact Hub is a perfect place for my photo exhibition about the power of solo traveling. “Here is to the people who want to make an impact, to those who work for a better world, to the ones that have the courage to dream, believe and act.” – is written on their walls, and as well somewhere in between of my lines guiding you through the photo exhibition. We all have dreams. Fulfillment of some of them could have a great impact on our future steps, could be a reason why and how we go forward. As was my case of solo travel and volunteering in South America. Let me share with you how was the opening event of Re-connection. Small steps 🙂 My fear of standing really exposed in front of the people with expectations was managed well. Shivering of excitement and flow in the moment. 😀 That moment, when it turned into good fun. Heartwarming event. My South American adventure and motives to go for it were so alive. There and than. Tasty wine from Nespor & Rajsky winery made the atmosphere really cozy. Especially to my sponsoring partners Copy General CZ and Nešpor & Rajský vinařství, humans in Impact Hub Brno and my deeply supporting family and friends.